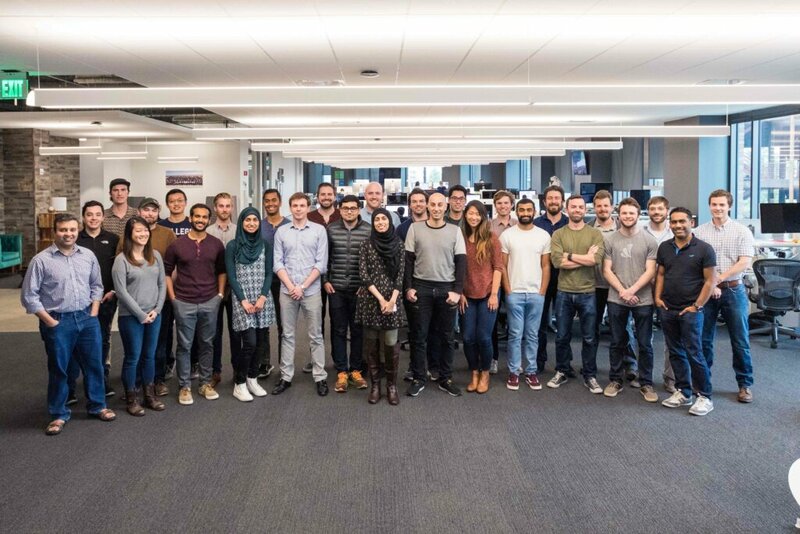 Last week we unveiled our new brokerage and banking platform, Wealthfront’s largest engineering undertaking to date. This investment in our infrastructure will serve as the foundation for our next generation of products and services, supporting our mission to make sophisticated private wealth management services available to everyone. Wealthfront, like many other fintech companies, was built on top of brokerage firms offering access to standard brokerage and banking capabilities through APIs. Unfortunately, these brokerage firms are running on legacy systems and infrastructure from the 1960s, and many of their APIs are built on top of semi-manual processes and disjointed systems. This blocks many desired improvements and hinders our ability to achieve end-to-end automation, a requirement to support our growth. If you’re a Wealthfront client, you’ve probably been frustrated by the slow pace of your funds getting invested, or wondered why you still need to use forms in this day and age. In our view, the major industry players don’t demand better services because given their fee structure, they are happy to employ people to address all the problems. We also find that most brokerage firms rely on a chain of third parties, none of which seem to care about the ultimate client or use modern engineering practices. We were grateful there was a brokerage firm available in 2011 to provide the basic APIs we needed to deliver a rudimentary automated investment service, but we’ve now outgrown that solution. Our clients deserve better. It became clear that in order to build a better solution, we had to integrate deeper into the financial system. This gave us an insight into what’s under the hood. We’ve stopped counting how many times vendors casually asked which mainframe we’re using, or whether we would mind sharing the JCL script we ran (JCL stands for Job Control Language, a name for scripting languages used on IBM mainframes). We’ve had to process so many COBOL data elements that we built our own COBOL copybook (a file used to define the structure of data elements) parser. It’s more than just technologies from the 1960s. Our banking and brokerage platform engineering lead Rija Javed, who is a woman, was told countless times by industry people to ask the “IT guys” a question about a system she built. And it doesn’t stop there. As we were looking at integrating with the Depository Trust & Clearing Corporation’s (DTCC) Cost Basis Reporting Service, we were politely warned once that cost basis reporting is a “personal business,” and that the best option is often to call a friend working at the right brokerage firm, who will email you a spreadsheet with the account’s tax lots. Antiquated attitudes and antiquated systems can’t power a modern financial service. Rather than continuing to be frustrated by this way of business, we took this on as an opportunity to reimagine things from the ground up. We initially considered acquiring an existing firm that had built its own brokerage system, but when we dug into this option we saw that we would end up inheriting antiquated systems that we would need to patch and augment with ad-hoc systems to support our needs. So we decided that our best option was to take a holistic approach and build our own brokerage and banking platform from scratch, not dissimilar to building our own operating system. We asked ourselves one simple question: what would a modern brokerage system look like? As we are first and foremost a technology company, engineering would be the driving force, not an isolated department to whom requirements were handed. The platform would have to be built by engineers who came from the best technology companies and engineering schools, using the modern engineering practices often discussed in our engineering blog. To ensure quality we would be test driven from the start, and we would design the platform such that code can be continuously deployed to production. Integrating deeper into the financial system would mean direct partnerships with vendors for operations like Order Audit Trail System reporting, IRA administration, proxy voting, electronic account transfers and cost basis reporting, to name a few. This wouldn’t have been possible without our partnerships team who established and helped build these relationships. Interfacing directly as opposed to working through a third party (as is the industry custom) for that communication meant we could represent ourselves, and thus our needs, for better results. Building our own banking and brokerage platform means that we take more responsibilities in house in order to better control our destiny. It is an investment for our clients’ future. Nevertheless, we’ve been able to address several of the issues like self-served mailing address, interested parties and beneficiary view and updates. We started by building a new Wealthfront banking and brokerage platform, which enabled the offering of Wealthfront’s 529 college saving plans. After being stress tested with 529, our banking and brokerage platform is now being used as the foundation for our newly launched Portfolio Line of Credit. This represents our first foray into an exciting new financial service – Personal Banking. Along with enabling two high valued products for our clients, our brokerage and banking platform also introduces new features like faster money movements enabling next day investing, direct deposits, Wealthfront branded money movements, real-time transactional data, and even better designed brokerage statements that might even be fun to read. The brokerage and banking platform is the foundation upon which all Wealthfront services are built. It’s Wealthfront’s “operating system.” Switching our operating system while ensuring everything keeps running smoothly and without interruptions is a huge undertaking. While this is an engineering blog post, it would be remiss to not mention how much of an effort this has been across the company. We’d like to thank our colleagues in client services, compliance, brokerage operations, design, finance, legal, marketing, partnerships, product, and research who have helped make this possible. Not only is our infrastructure growing and improving, but the team itself has grown in both skills and camaraderie. We’re humbled to have worked on such a challenging endeavor. We’re now ready to scale the infrastructure further and build new products on top to delight our clients. Byron Alvarez, Amith Ananthram, Refael Azi, Eli Berg, Connor Boyd, Xiaofan Fang, Andy Feldman, David Fortunato, Scott Fritz, Sampson Gu, Luke Hansen, Rahma Javed, Clay Jones, Matthew Kang, Harry Li, Julia Li, Jake Marsh, William Rush Moody, Akshay Nathan, Daniel O’Neel, Satyajeet Pal, Dharmesh Patel, Kevin Peterson, Brian Pugh, Rohan Ranade, James Robinson, Karan Sharma, Emily Shiue, Romil Singapuri, Artem Veremey, Vishu Vig, and Alice Wang. Nothing in this communication should be construed as tax advice, a solicitation or offer, or recommendation, to buy or sell any security. Financial advisory services are only provided to investors who become Wealthfront, Inc. clients pursuant to a written agreement, which investors are urged to read carefully, that is available at the Wealthfront website. All securities involve risk and may result in some loss. Wealthfront, Inc.’s financial planning services are designed to aid our clients in preparing for their financial futures and allows them to personalize their assumptions for their portfolios. Wealthfront, Inc.’s free financial planning guidance is not based on or meant to replace a comprehensive evaluation of a Client’s entire financial plan considering all the Client’s circumstances. For more information, please visit www.wealthfront.com or see our Full Disclosure.